As a way to support the local economy by increasing pedestrian traffic to the blocks just off the Plaza, the City has installed Plaza Periphery Business Wayfinding signs at several intersections around the perimeter of the square. The signs are designed to highlight the types of businesses known to be critical in attracting foot traffic in a downtown area. Priority for inclusion on the Plaza Periphery Wayfinding Signs is given to ground-floor retail, restaurant, wine-related, and visitor-oriented uses. Based on your business type, location and available space on the sign, you may qualify to have a placard included on the sign, with your only cost being fabrication and installation of your business placard. For more information, see the Plaza Periphery Signage Guidelines. 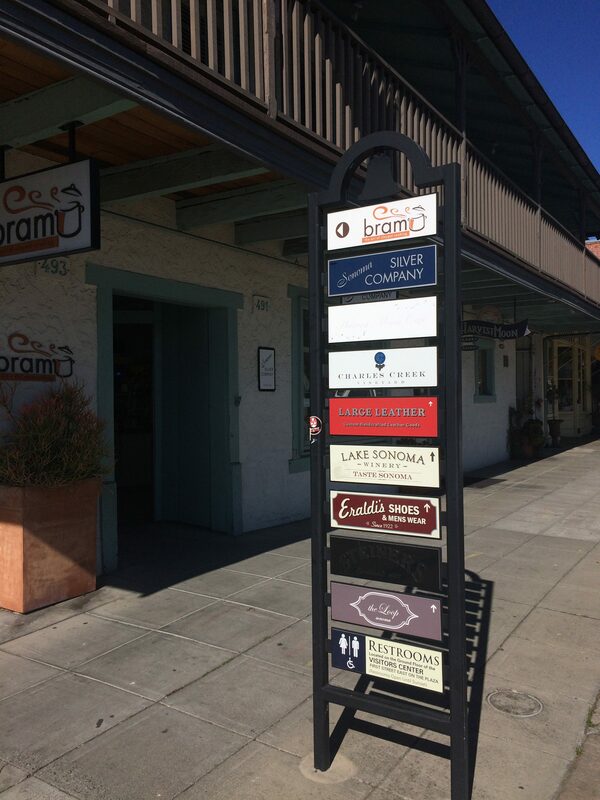 The Sonoma Valley Chamber of Commerce administers the Plaza Periphery wayfinding signage program.